As this poem of less than twenty words runs its course, video of zooming down a road explodes across the screen accompanied by the music of passing wind. Tao is a momentary experience that attains a meditative pace very unusual in computing and in modern life, while at the same time evoking the reality of violence. Instructions: To hear the sound, turn on the computer's speakers or plug in headphones. Click on the >|< symbols under the videos to flip them. The red triangle can be clicked upon, after the piece plays, to restart Tao. 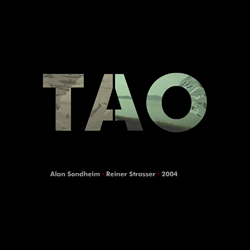 Previous publication: Tao was published by Strasser and Sondheim at http://nonfinito.de/tao in January 2004.